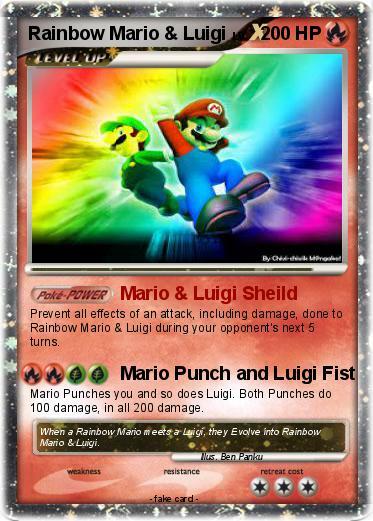 Prevent all effects of an attack, including damage, done to Rainbow Mario & Luigi during your opponent's next 5 turns. Mario Punches you and so does Luigi. Both Punches do 100 damage, in all 200 damage. Comments : When a Rainbow Mario meets a Luigi, they Evolve into Rainbow Mario & Luigi.